It’s that time of the year. It’s the beginning. It’s the perfect time to take a pause and re-evaluate our accomplishments and charge forward with new ideas and enthusiasm. It’s the perfect time to do more of what you haven’t done in the past. 2016 was an exciting year for ToXSL Technologies and we owe much of the success we have seen to our valued customers and partners. We experienced strong growth as we unveiled a number of exciting new hardware and software solutions. 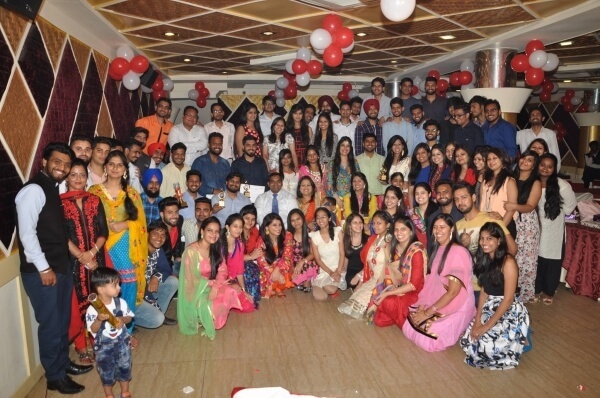 We celebrated 4 years of excellence “Success Fiesta” in June which was studded with happening events and performances by ToXSL employees and a bang-on party. We celebrated many festivals, achieved targets, given best team awards as well as organized many training programs by our professionals for the betterment of the employees and growth of the company. Another important step for ToXSL Technologies was the memberships of NASSCOM that helped us to track latest industry trends and business opportunities at a global level to compete with the international market. At the start of 2017, one of the big achievement of the ToXSL Technologies is the announcement that we just moved to a new office space on 4th Jan 2017. Our new and larger space office with 200+ workstations allows us to add more team members and functions in order for value-added service for all our customers. We celebrated this year with the inauguration of our new office. The management team organized a Pooja in the office premises and we all prayed for the development and growth of the company. After that, we all enjoyed the sweets and snacks. It is an achievement for our venture by its founders Shiv Charan Panjeta and Monika Panjeta with an aim of being at the top position in the mobile and web development field. Their roles are essential to ToXSL’s operations, and they deserve special thanks for their work. After an eventful 2016, it is now time to focus on 2017 and the exciting challenges this it will bring. The next important goal for ToXSL Technologies will be the delivery of our products to support our customers. We would like to emphasize our total commitment to “on-time” delivery performance and product quality objectives. As 2017 dawns upon us, the success of our joint venture can only be achieved through excellent teamwork and highly-capable management. We are thankful for the dedication of our team members and ready for another great year ahead.